Clint Eastwood paints a broad, meticulous, and shallow portrait of controversial FBI director J. Edgar Hoover in the new biopic J. Edgar. As seen by Eastwood’s past output from at least the past several years (and arguably even further), the Hollywood veteran seems content to glide along the surface of his subject rather than probe deeper and ask tough questions. The result for J. Edgar is a movie where at the end of two hours and nineteen minutes you shrug and go, “Yep. 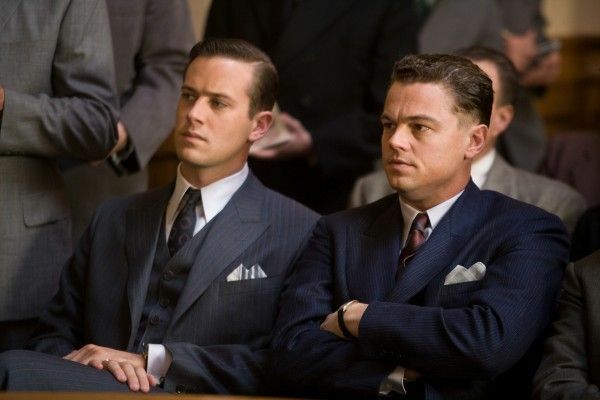 That’s a Napoleon Complex.” Despite Leonardo DiCaprio acting his heart out as Hoover, and a fine supporting performance from Armie Hammer, J. Edgar is fascinated with its title character but the fascination runs skin-deep. J. Edgar Hoover was the first director of the Federal Bureau of Investigations and ran the government agency from 1935 until his death in 1972, and J. Edgar jumps between Hoover’s work in the 1920s and 30s and his later years of the 60s and early 70s. During his time as the agency’s director, he vigilantly fought against Communism and expanded that fight to any organization or person he perceived as disruptive to the status quo, notably Martin Luther King Jr. and John F. Kennedy. He used blackmail and intimidation to maintain power, and did so from the agency’s founding in 1935. And therein lies one of the major problems of J. Edgar. Hoover is the same character at the beginning of the movie as he is at the end. He never once questions his controversial methods, the war against Communism remained his highest priority throughout his career, and he was (at least in the view of Eastwood and screenwriter Dustin Lance Black) a deeply insecure human being. He was short in stature, believed he was less attractive than other men, and he always surrounded himself with tall, handsome confidants—most notably, Clyde Tolson (Hammer). Which leads to J. Edgar‘s other major issue. Black crafted the emotional core of the movie around the homosexual relationship between Hoover and Tolson. The historical record strongly implies this relationship existed, but it’s never been confirmed. There’s nothing wrong with making Hoover and Tolson’s secret affair the heart of the story, but Eastwood and Black absolutely botch the execution. Because the movie is framed as Hoover reciting his memoirs to staffers, we’re supposed to see Hoover’s early years as his perception of events. But Eastwood shoots all the young Hoover scenes in the same way, which becomes problematic when we see the burgeoning romance between Hoover and Tolson, and obviously Hoover would never tell this to anyone. The other issue is that the relationship between the two men comes off like Saturday Night Live‘s “The Ambiguously Gay Duo”, so the obvious subtext comes off as comical rather than emotional. 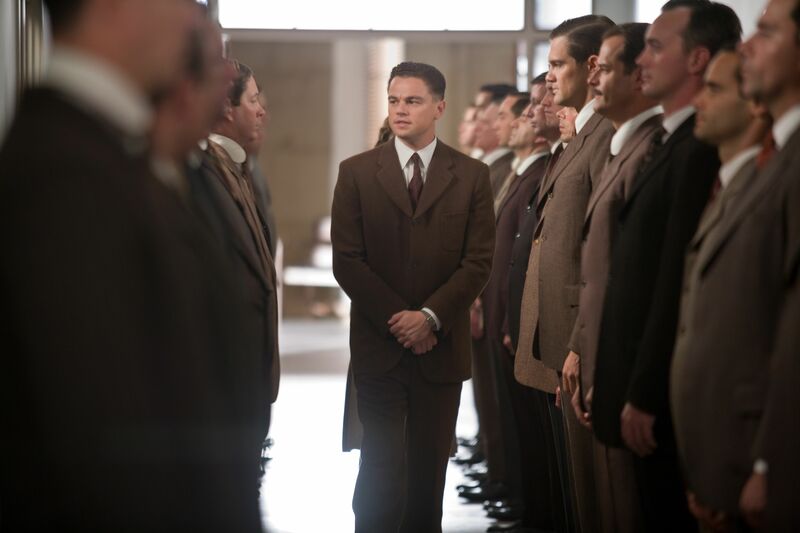 Because Eastwood paints a sober and hollow portrait of Hoover, the movie places a heavy burden on DiCaprio to make the character come alive. In 2004, DiCaprio portrayed another famous American by taking on the role of Howard Hughes in The Aviator. At the time, he seemed too young for the role when it came to playing the scenes with Hughes as an old man. DiCarpio has aged into more mature roles, but he’s not quite in the range necessary for Hoover. The old age make-up is spectacular, but DiCaprio’s bright, shining eyes provide a slight distraction from an otherwise terrific performance. The movie wastes Naomi Watts in the thankless role of Hoover’s secretary, but Hammer holds his own as Tolson and shows that his work in The Social Network wasn’t just a product of Aaron Sorkin’s excellent script. 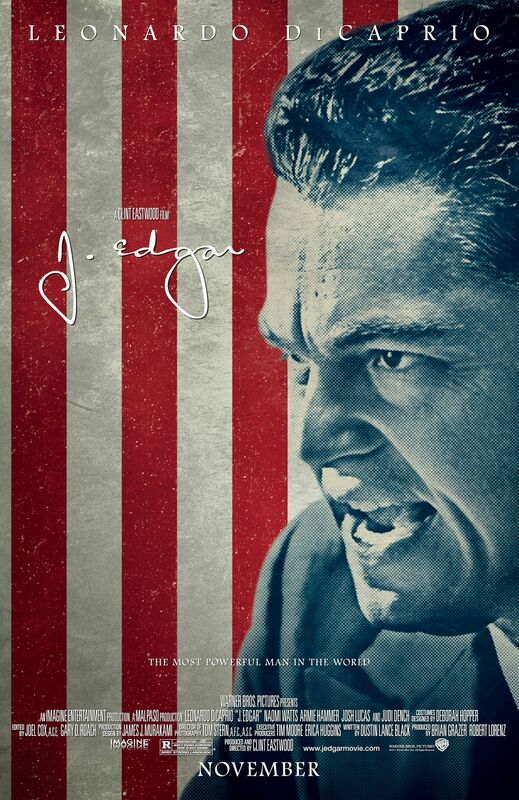 J. Edgar once again proves that Eastwood is not worthy of the material he’s receiving. His legacy and name recognition allows him to churn out a movie per year, which would be impressive if the movies were good. One could argue the same about Woody Allen’s output, but Allen’s films are personal and original, where it feels like Eastwood is stealing stories that other filmmakers could do better. But we’re stuck with over-praised director relying on the performances of his talented his actors and hoping that the film’s premise and script can make the movie passably mediocre. By that painfully low standard, J. Edgar qualifies as a success.